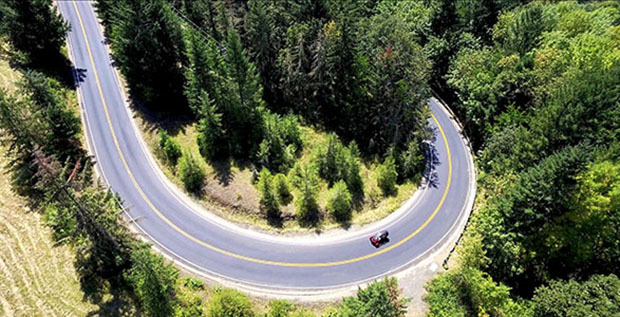 Arcimoto® was founded in 2007 to catalyze the shift to a sustainable transportation system. The name Arcimoto means “Future I Drive,” and it is our aspiration: to devise new technologies and patterns of mobility that raise the bar for environmental efficiency, footprint and affordability. Arcimoto plans to achieve its mission by replacing the global urban and suburban use of 4,000 lb. internal combustion engine vehicles for regular daily trips with the SRK®, a pure electric solution that is a quarter of the weight, a third the cost of purchase, and ten times as efficient as the US average passenger car. 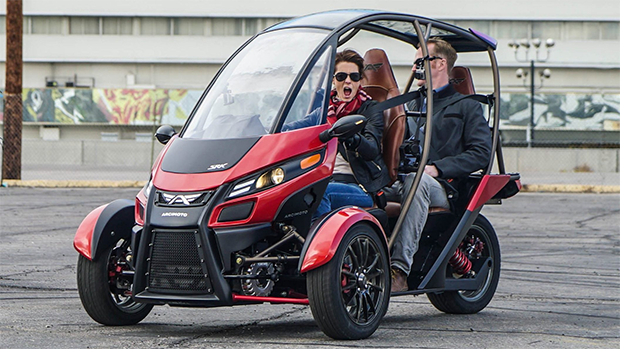 Arcimoto’s SRK defines the Fun Utility Vehicle™ category. The SRK delivers a thrilling ride experience, exceptional maneuverability, full comfort for two passengers with gear, optimal urban parkability, and ultra-efficient operation, at an affordable target base model price of $11,900. Arcimoto has taken the SRK from a napkin sketch, through eight generations and nine and a half years of product development, to a refined design on the cusp of series production. Arcimoto’s business model is entirely focused on low-end market disruption. We are targeting customers who cannot or will not participate in today’s market due to the lack of affordable, clean, daily vehicle purchase options. Existing manufacturers have not provided a viable vehicle in this class. 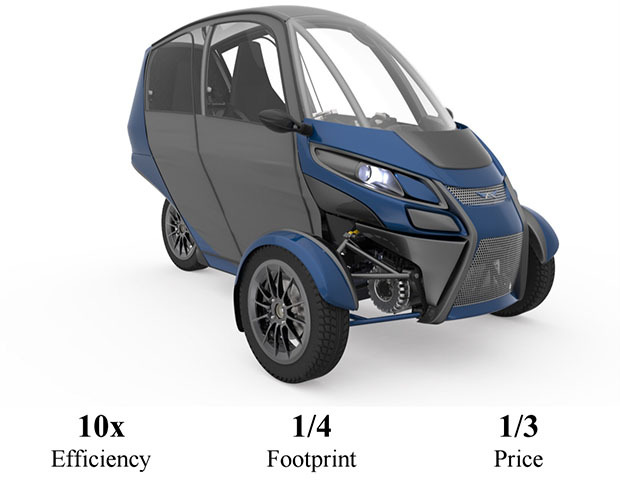 Arcimoto is targeting an end user price below $10,000 USD inclusive of purchase incentives. An urban-focused vehicle must be ultra-affordable to fundamentally shift the marketplace. We believe our product is more affordable than our competition’s offerings. Unlike other small-form electric vehicles in the market, such as neighborhood electric vehicles (NEVs) that are limited to neighborhood roads, the SRK’s 80 mph top speed allows it to be used both on city streets and high-speed expressways, and SRK’s right-sized footprint allows three to be parked in a single space, while still providing two comfortable seats, plenty of room for groceries, safety features, 13 optional doors, storage options, solo access to the carpool lane and delivery capability. 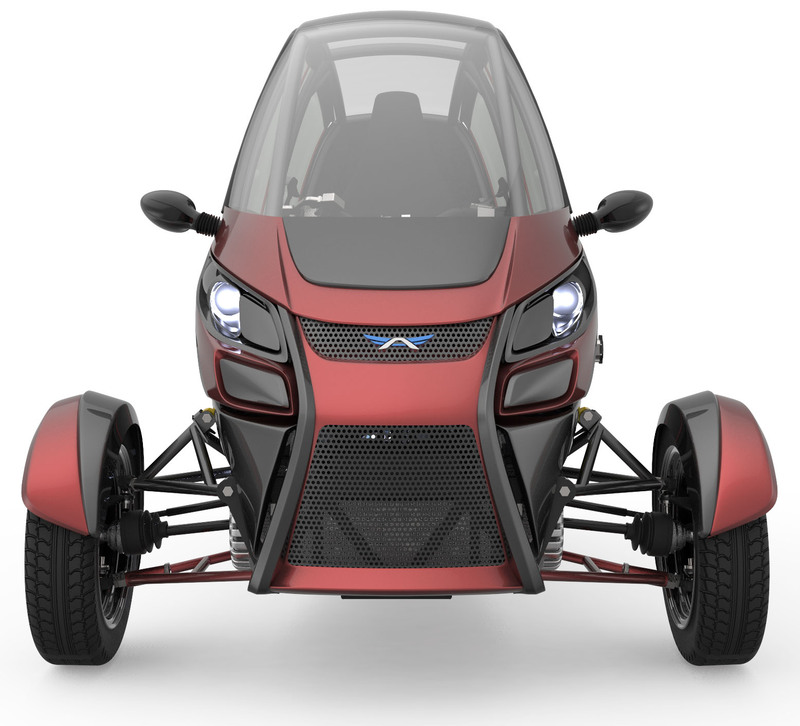 Arcimoto’s lean operations have designed and brought the SRK to preproduction ready with approximately $10 million invested. 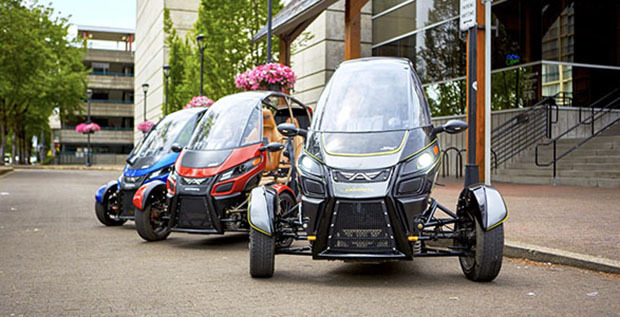 Arcimoto’s capital-efficient philosophy influences every aspect of the business. 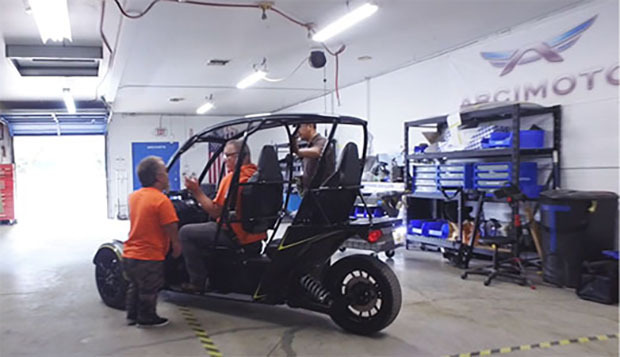 Arcimoto’s use of design patterns that leverage flexible, advanced manufacturing equipment means a significant reduction in capital cost to start serial production versus typical automotive programs. Hundreds of customer test drives performed in our generation 8 alpha vehicles have shown that consumers are consistently impressed with the SRK’s handling and fun factor. The SRK provides full torque right off the line and accelerates from 0 to 60 mph in approximately seven and a half seconds. The SRK’s three-wheeled vehicle architecture has been refined through the development of eight fully functional vehicle prototype generations and features a low-and-forward center of gravity and dualmotor front-wheel drive. Fundamentally, the SRK is a three-wheeled electric motorcycle that blends the efficiency, maneuverability and thrill of two-wheeled transportation solutions with the stability, weather protection and carrying capacity features needed to be a functional daily replacement for a full-sized car. Arcimoto is ready to deliver low-cost, sustainable, environmentally friendly transportation to cities everywhere. Our Generation 8 SRK alpha vehicles are on the road and receiving rave reviews from everyone who drives one. We've refined our sales funnel, now have over 1,600 reservation deposits, brought the cost of customer acquisition below $50 dollars, generated more than 12,000 direct email sales leads and garnered 19,000+ social media followers. 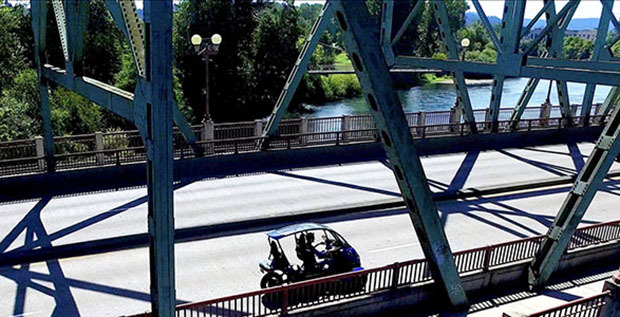 Arcimoto's potential to shift urban transportation has generated universally positive press. Yahoo! Finance, Forbes, Mashable, the Los Angeles Times, Digital Trends, Wall Street Journal and many others have written about Arcimoto and the SRK, boosting consumer confidence in our product vision, and investor confidence in the company's venture. Complete design and testing of the SRK through the 2017 beta pilot fleet build. 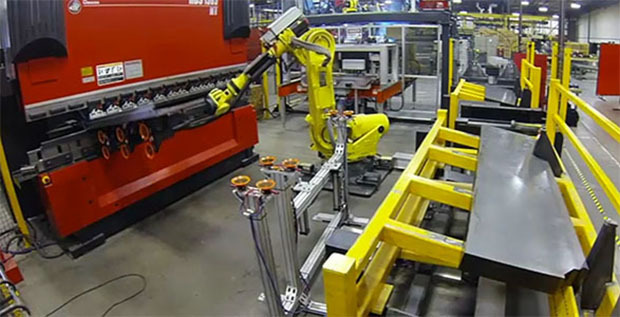 Prepare for scale manufacture in 2018.